When it comes to yummy sweet treats, Custard Tarts are near impossible to beat. You are going to love this delicious recipe and it couldn’t be easier to make. If you are on the hunt for the best individual custard tarts recipe, you are in luck. This delicious treat is comfort food personified. When it comes to bakery food at Smoko time, nothing compares. They are also perfect with a cuppa on your own or with friends. If you loved the Portuguese Custard Tarts, you will love these too. 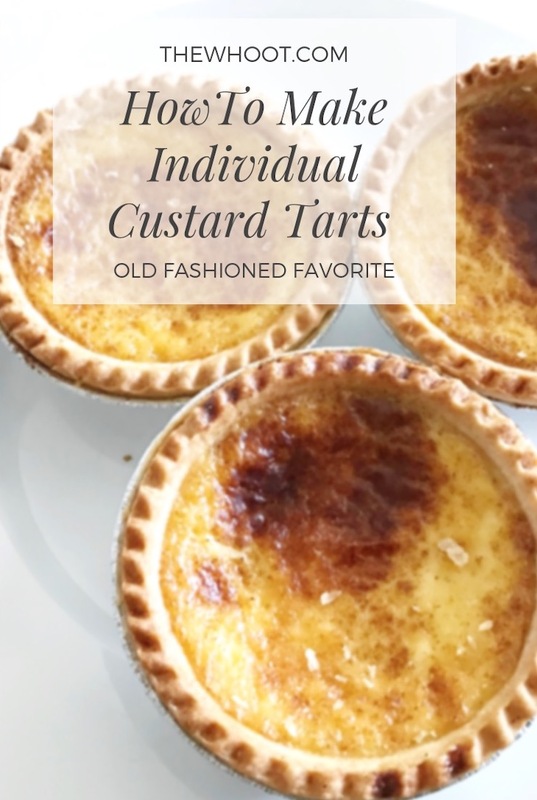 Are you ready to make your Individual Custard Tarts? This recipe will yield 6 mini pies and you will need to allow around 40 minutes prep time and about an hour baking. To begin, add to your Food Processor the plain flour, icing sugar mixture and butter (chilled & cubed). Combine and blitz in your Processor until a fine crumb has been achieved. Next, add in 2-3 tablespoons water. Process again until you have the consistency of a soft dough. Roll out your portions so that they are about 3-4mm (.15 inches) thick. Now you will line tart tins which will need to be 3cm deep (1.1 inches) deep, and 8cm (3.1 inches) base measurement. It is best to use round fluted style tart tins with a removable base. Place on a baking tray and pop in the fridge for 15 minutes to set. Preheat your oven to 200°C (392F). Line the pastry cases with baking paper and rice. (You can use baking weights and foil if you prefer). Bake for 15 minutes. Remove paper/foil and rice. Bake for a further 15 minutes. Reduce oven temperature to 180°C (356F). Combine eggs, vanilla essence, caster sugar, and warm milk. Pour into cases and sprinkle with ground nutmeg. Bake for 20-25 minutes or until just set. 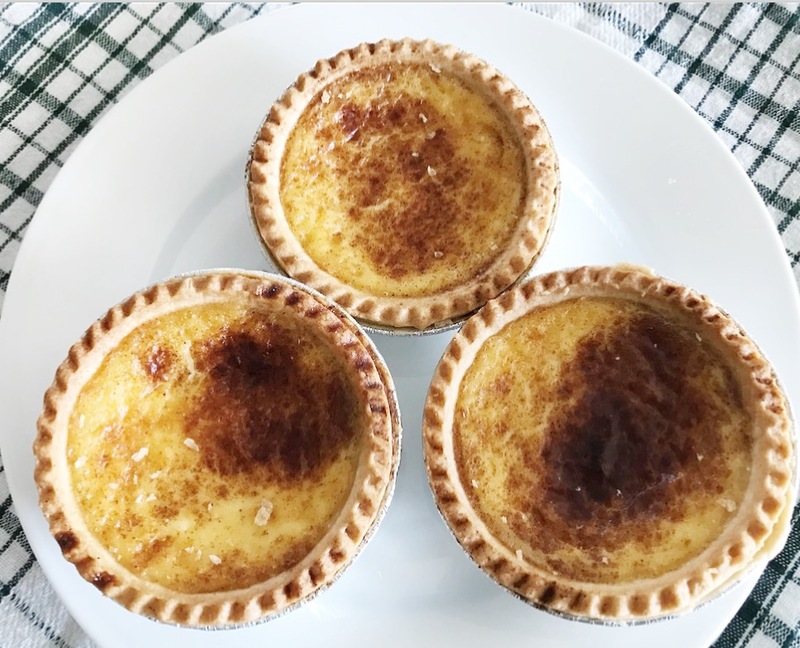 Thanks to our reader Annie for sharing her favorite Custard Tarts recipe with us. See the Portuguese Custard Tarts here.